John Slavin tests the very big Volvo S80 DRIVe, which is fitted with a very small 115PS 1.6 litre diesel engine. Everyone wants to be green, which is good news, whether you believe the eco-speak or not. Most car makers now offer low emissions models that are designed not just to benefit the environment but to improve sales. Green cars do more miles to the gallon and fall into lower tax brackets. This means lower running costs, which given the current price of fuel, is a big attraction if you're buying a new car. But being green isn't just the preserve of small hatchbacks and even big, luxury vehicles get the low CO2 treatment now. 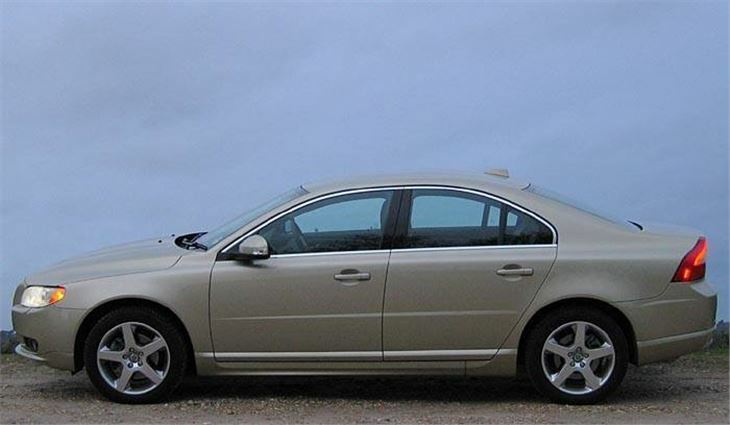 Volvo’s greenest models are badged DRIVe – pronounced Drive-E - and the newest DRIVe variant is the S80, Volvo’s soberly styled and understated luxury saloon model. 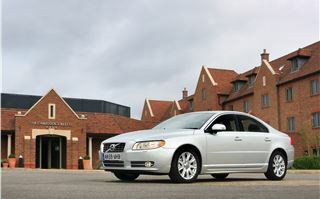 The current S80 has been around since 2006, and in its latest upgrade it gets Volvo’s Sensus infotainment system as well as a refreshed D5 diesel engine and the DRIVe engine tested here. The DRIVe engine is a 1.6-litre turbocharged diesel which produces 115PS, with official average fuel economy of 62.8mpg and CO2 emissions of just 119g/km - an amazingly low figure for a big four-door saloon. The low CO2 figure means buyers pay a mere £30 a year for their car tax. 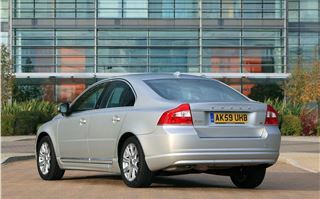 More importantly for Volvo - which sells over half of its cars to fleets - it means that the S80 DRIVe falls into the lowest BIK rate for business users. 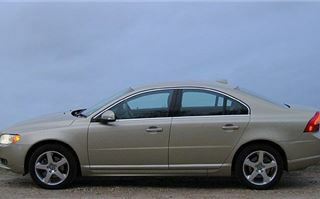 That makes it an appealing company car prospect on paper, but what about on the road? The 1.6-litre engine does look underpowered for such a heavy car, but it produces a reasonable 270Nm of torque, and although the peak torque band is quite narrow (from 1750 – 2500rpm) there is a decent shove when accelerating. 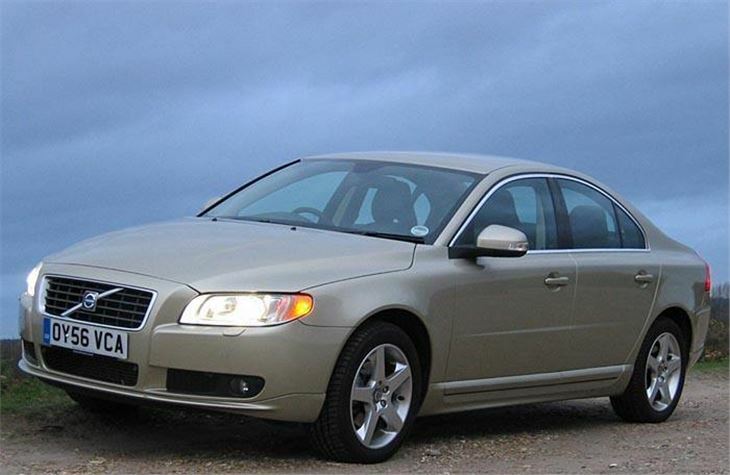 Once up to A or B-road speeds the S80 is an extremely easy and relaxing car to drive. It's surefooted through bends, with decent steering that's neither too heavy nor too light. Refinement is good even at high speeds, with a very well insulated cabin. 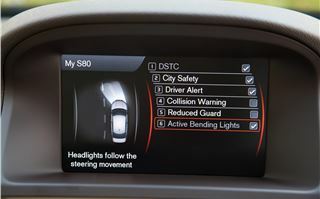 Motorway driving was made easy in this particular model thanks to the adaptive cruise control. 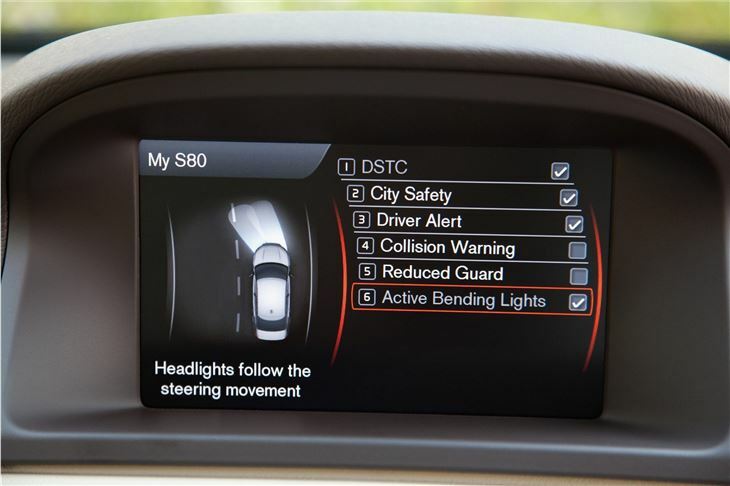 This clever system keeps a set distance between you and the car in front, so will brake to maintain the space if the car you're following slows and then accelerates back up to your preset speed. The engine is audible at high revs and there is a little bit of road noise at higher speeds, but generally speaking it’s a serene place to be. Refinement is enhanced by the comfortable seats which are adjustable every which way, as you’d expect from a Volvo, plus there's an elegantly simple dashboard. The steering wheel is comfortable to hold and the manual gearbox smooth and easy to operate. There's no automatic option though - that would hamper economy - but it does seem odd having a manual in a large saloon where automatics are the norm. 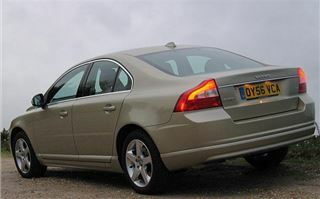 The quality of fit and finish is good though and our test car had a brushed aluminium dash insert, a high quality soft-touch dashboard and cream leather seats all of which were beautifully solid and well assembled. When it comes to stylish interiors with a minimalist Scandanavian feel, Volvo really gets it right. 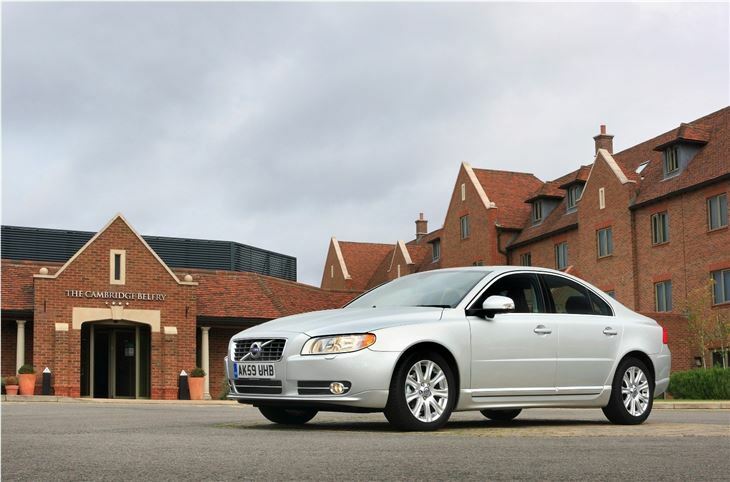 With its latest refresh the S80 is available with the ‘Sensus’ infotainment system first fitted to the S60 and V60. It’s fairly intuitive to use, although it can be a bit of a fiddle at first. It can be linked to an iPhone app which allows users to control door locks and other functions remotely, as well as locate their car using GPS. 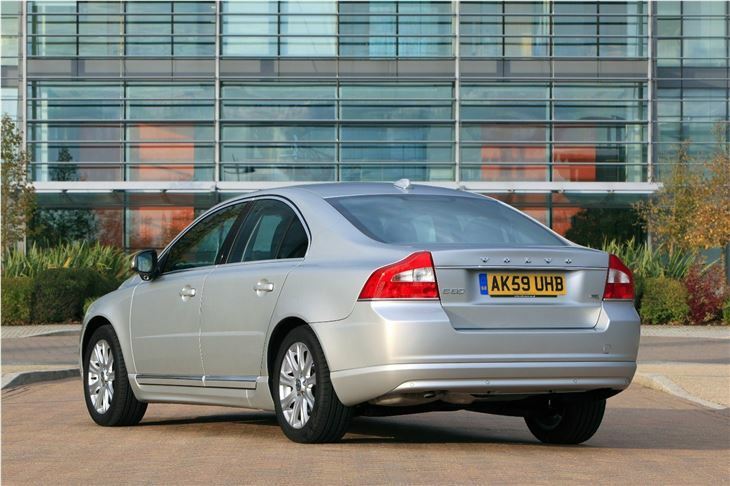 The S80 DRIVe is available in ES, SE and SE LUX trim levels, and prices start at £25,245 for the ES, making it the cheapest new S80 available. In terms of CO2 emissions versus price that places it very close to the BMW 316d, a car much smaller than the S80, and that means only badge snobs would be pick the BMW. 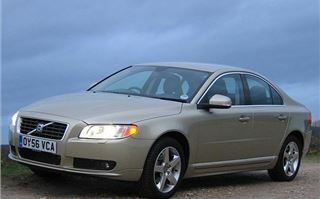 The S80 makes a very good case for itself thanks to this engine. There are few cars on sale to match its combination of low emissions, low price and luxury interior, making it a sensible choice for company car drivers and private buyers alike.